Calgary’s New Resident Checklist: Which Neighbourhood Best Suits Your Needs? Home-hunting in Calgary? Looking for the community best suited to your needs? We know that there’s a lot to consider: amenities, commute times, lifestyle, accessibility, future growth etc. so here are some unique and popular communities across the city worth your attention. If you aren’t familiar, Calgary is split up into four distinct city quadrants. We’ve mapped it out for your convenience by dividing our list up in the same way. Here is our list of five communities worth considering. Get your checklist ready; we’ve packed our profiles full of highlights! One of northeast Calgary’s newest neighbourhoods is Redstone, situated on the edge of the recently completed NE portion of the Stoney Trail ring road. Conveniently located, the community of Redstone is also a short drive from Highway 2, which places you in the downtown core in under 30 minutes. For commuters, it's one of Calgary’s best regions. Public transit extends right into Redstone and between bus service and Calgary’s Light Rapid Transit (LRT), it’s less than an hour trip into the downtown core. Redstone is also one of the most affordable communities in Calgary, making it an appealing destination for millennial homebuyers and young professionals. That doesn’t translate into any shortage of services or amenities, though. In fact, the north end puts you in close proximity to some of Calgary’s newest and most trendy shopping destinations including the hugely popular CrossIron Mills Outlets Mall - home to over 200 specialty stores and premium brand outlets. For active, soon-to-be retirees, the Redstone community also has great appeal. With the airport under 15 minutes away and Edmonton less than a three-hour drive up Highway 2, the north end of Calgary is perfect for coming and going, weekend getaways and receiving family and friends year round. Redstone is also connected to Calgary’s extensive network of regional bike paths and walking trails, with trails already running through much of the community’s green space. 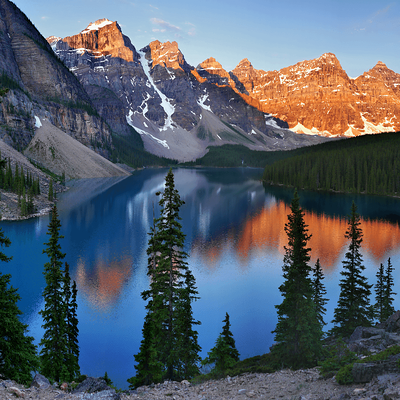 With Banff National Park under an hour away, there is endless opportunity for hiking, biking, camping, skiing, lodging and much, much more. It’s no wonder Redstone continues to grow, there’s a lot to love in Calgary’s northeast. Tucked alongside the Bow River in Calgary’s southeast is the community of Cranston. While north of Calgary is known for accessibility in, out and around the city, the southeast of Calgary is perhaps best known for all of the reasons to stay local, especially with its abundance of neighbourhood parkland! If you’re looking to downsize in space (or in mortgage!) the southeast generally offers more affordable housing prices than Calgary’s southwest. Cranston boasts some of the more reasonable commute times around - particularly to the commercial and industrial districts further north. Public transit into the downtown core is also straightforward, with local bus lines feeding into a direct route downtown from neighbouring Shawnessy. But where Cranston really captures people attention is in the community itself. Surrounded by well-established neighbourhoods, Cranston has no shortage of essential services and amenities such as fitness centres, banks, grocers and local eateries. And the green space; incredible. Just across the winding Bow River lies the beautiful Blue Devil and McKenzie Meadows Golf Clubs. The community of Cranston also enjoys an abundance of local parks as well as the open school grounds of nearby Cranston School and Christ The King Catholic School. There is no shortage of pet-friendly open space to roam and outdoor walking and biking options for strolls with friends and family. It’s no surprise to see new condos being snatched up around the neighbourhood; it really is one of Calgary’s most enjoyable communities and brings a balance to city living that few others can claim. 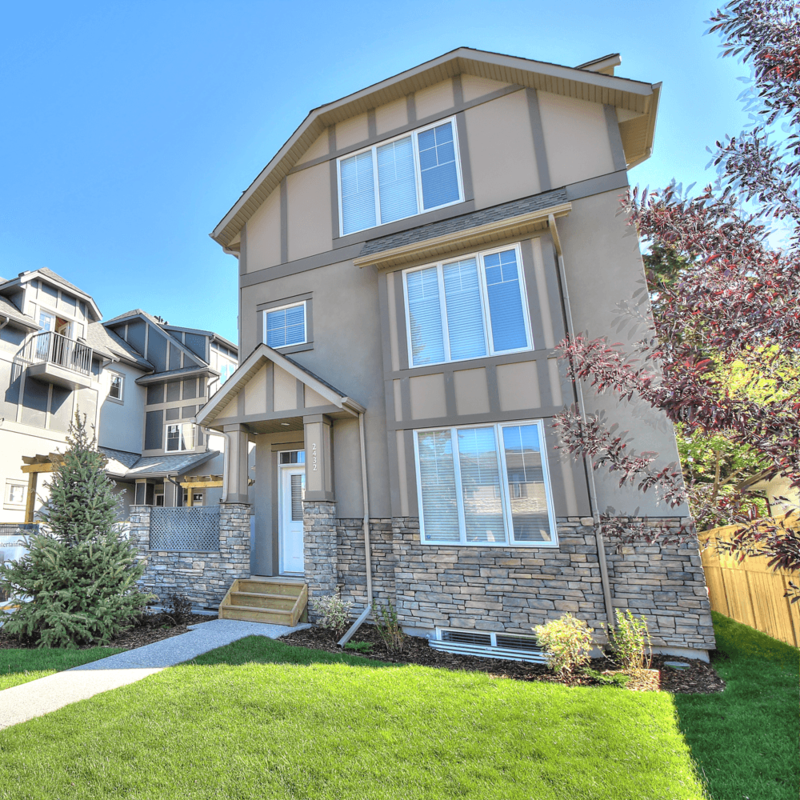 One of the most popular and certainly one of the most rapidly expanding regions in Calgary; is the community of Silverado located on the edge of Calgary’s southwest quadrant. Silverado strikes a hard-to-find balance of urban convenience and outdoor living. Popular among those with an active lifestyle, the neighbourhood is surrounded by over 150 acres of extensive walking paths, bike trails and open green space, including four area golf clubs. And between Fish Creek Provincial Park and Kananaskis Country there’s an endless list of outdoor activities right in your backyard. For near-retirees and active baby boomers, Silverado offers living options conducive to the come-and-go lifestyle. Beautiful new townhomes and attached bungalow developments offer the same luxuries as detached residential homes with multi-car garages, deck and patio space, while also ensuring very little yard care and maintenance. Connectivity is not a problem with a public transit connection right into Silverado from Calgary’s city centre. Calgary’s downtown is only an hour away via Calgary’s LRT system and for commuters with vehicles, Silverado is situated in one of the only bridge-free areas of Calgary – which you will very quickly understand is a perk in its own right! A beautiful new subdivision on the edge of the well-established southwest end, Silverado sets a new standard for active community living in Calgary. Calgary’s West Springs community may be one of Calgary’s trendiest up and coming communities. Just 20 minutes from downtown, West Springs is attracting some of Calgary’s best boutique shops and foodie destinations. My Favourite Ice Cream Shoppe, Ace Coffee + Diner, Colour on Fire Art Studio, Yuga Indian Kitchen, and Sweet House are just some of the newer arrivals to the West Springs neighbourhood. Whether it’s food or shopping, everyone has their “go-to’s” and chances are you’ll discover some of your own in West Springs. Just a few minutes outside of the city, West Springs is a convenient location for urban dwellers. Even during rush-hour travel, the commute into Calgary’s downtown rarely surpasses 30 minutes. With a new LRT station at 69th street, public transit is also becoming more accessible. Despite being so close to Calgary’s urban core, Banff National Park is still under an hour away. With luxury, two-level condos and townhomes popping up, West Springs has become an increasingly popular destination for young families and young professionals in search of an unmatched urban lifestyle. One of Calgary’s oldest communities is the neighbourhood of Killarney. Named after Killarney, Ireland, the first plan for the suburb was registered in the early 1900’s. Since then, its residential developments have undergone significant transformations with beautiful new infill townhomes settled in and around Killarney’s urban forest and mature trees. Despite sitting a mere five-minute drive from downtown, Killarney is a neighbourhood unto its own. Killarney is home to all of your essential amenities as well as a variety of recreation facilities, from the Killarney Aquatic & Rec Centre to golf courses, tennis courts, yoga studios and a local rink. Health and dental clinics, a local Safeway and Walmart round out some of the main services and amenities just around the corner. And if there is a need to head across town, Bow Trail and Crowchild Trail are your easy access routes around the city. Charming inner city living and suburban feel, townhome living in Killarney is difficult to match. Whether you prefer to live north or south, near the heart of downtown or further out in the suburbs, Calgary has the perfect neighbourhood for you.